SAN FRANCISCO — In heartfelt appreciation of the volunteers who live and breathe Kimochi spirit by providing 16,000 hours of support to Kimochi programs and services annually, “Kimochi Spirit: The Legacy of Community Service” will be presented on Saturday, May 20, from 1 to 3 p.m. (doors open at 12:30 p.m.) at the Sundance Kabuki Cinemas, 1881 Post St. (at Fillmore Street) in San Francisco Japantown. – Provide handyman and gardening assistance at Kimochi Home and Kimochi San Mateo. 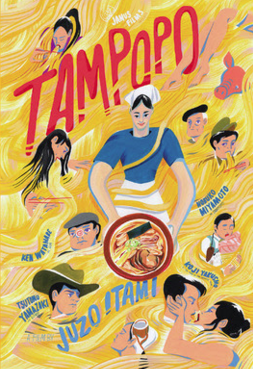 A short program with special recognition presented by Kimochi Executive Director Steve Ishii will be followed by a special screening of Juzo Itami’s “Tampopo.” This landmark foodie comedy was recently restored and re-released to mark the 30th anniversary of its U.S. release. The cast includes Tsutomu Yamazaki, Nobuko Miyamoto, Koji Yakusho and Ken Watanabe. The Kimochi Spirit Raffle, with two round-trip tickets to Japan courtesy of Japan Airlines as the grand prize, will also be held. The event is sponsored Pacific Gas and Electric Company, Sutter Health California, Pacific Medical Center, Union Bank, Mary Ishisaki, and Japan Airlines.